premium quality construction adhesive in the industry. The Leech Adhesives product philosophy is to provide products that exceed industry and customer expectations. The Leech Adhesives company philosophy is to take care of our customers. High-quality adhesives for construction, remodeling and general consumer use. This family owned and operated company has perfected F-26® Premium Quality Waterproof Construction Adhesive, the Number One Choice for quality focused professionals and DIYers to bond all porous substrates to most anything. Leech Adhesives is proud of our long-time, made in the USA heritage. Since 1930. 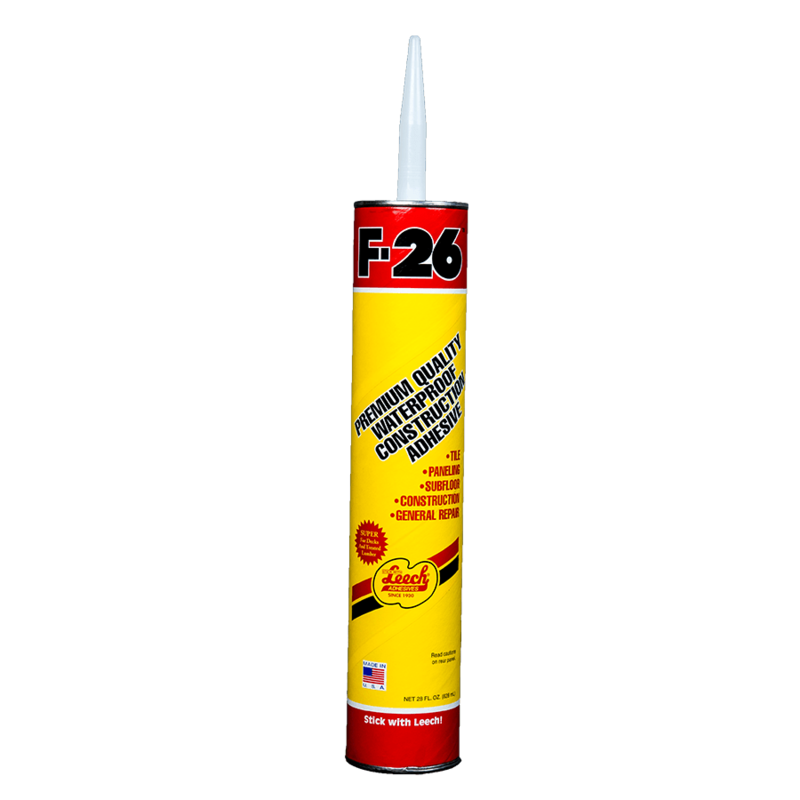 Leech Product’s F-26 Premium Quality Waterproof Construction Adhesive is the heavy-duty, professional-quality construction adhesive that's the number one choice for bonding to all porous substrates. Greg BradleyIntegrity Sales Group, Inc.
Leech Adhesives is dedicated to providing high-quality adhesives for construction, remodeling, and in general consumer uses.